Acesion Pharma ApS is a Danish biotech company founded in 2011 and based in Copenhagen. Acesion Pharma develops more efficacious and safe drugs for the treatment of atrial fibrillation (AF), the most common type of cardiac arrhyth- mia. Existing drug therapies generally have a limited effect or are associated with risk of serious adverse events, and there is therefore a considerable patient need for developing better and safer drugs. Inhibition of SK channels, an ion channel with relevance for regulating the heart rhythm, constitute a new and promising principle for the treatment of AF. Acesion Pharma aims to develop first-in-class SK channel inhibitors as a more efficacious and safe treatment of AF. Equity investors in Acesion Pharma are Novo A/S, Broadview Ventures, SEED Capital and Wellcome Trust. In 2013 Ace- sion Pharma received 27.9 million DKK (3.7 million EUR) as a Seeding Drug Dis- covery Award from the Wellcome Trust to fund the development of a novel drug for the acute treatment of AF. Addex Therapeutics is a biopharmaceutical company focused on the development of novel, orally available, small molecule allosteric modulators for neurological disorders. Allosteric modulators are an emerging class of small molecule drugs which have the potential to be more specific and confer significant therapeutic advantages over conventional "orthosteric" small molecule or biological drugs. Addex's allosteric modulator drug discovery platform targets receptors and other proteins that are recognized as essential for therapeutic intervention - the Addex pipeline was generated from this pioneering allosteric modulator drug discovery platform. Addex's lead drug candidate, dipraglurant (mGluR5 negative allosteric modulator or NAM) has successfully completed a Phase 2a POC in Parkinson's disease levodopa-induced dyskinesia (PD-LID), and is being prepared to enter registration trials for PD-LID. In parallel, dipraglurant's therapeutic use in dystonia is being investigated. Addex's second clinical program, ADX71149 (mGluR2 positive allosteric modulator or PAM) is being developed in collaboration with Janssen Pharmaceuticals, Inc for epilepsy. In addition, ADX71441 (GABAB receptor PAM) program was awarded a $5.3 million grant by the US National Institute on Drug Abuse (NIDA, a division of National Institutes of Health (NIH)) to support human studies in cocaine addiction and has been licensed to Indivior Plc. Discovery programs include mGluR4PAM, mGluR7NAM, TrkBPAM and mGluR3PAM. Adocia is a clinical-stage biotechnology company that specializes in the devel- opment of innovative formulations of already-approved therapeutic proteins. Adocia’s portfolio of injectable treatments for diabetes, featuring five clini- cal-stage products and five preclinical products, is among the largest and most differentiated of the industry. The proprietary BioChaperone® technological platform is designed to enhance the effectiveness and/or safety of therapeutic proteins while making them easier for patients to use. Adocia customizes BioChaperone to each protein for a given application in order to address specific patient needs. CHEMOTHERAPEUTIC Adocia’s clinical pipeline includes four novel insulin for- mulations for the treatment of diabetes: two ultra-rapid formulations of insulin analogs (BioChaperone Lispro U100 and U200), a rapid-acting formulation of human insulin (HinsBet U100) and a combination of basal insulin glargine and rapid-acting insulin lispro (BioChaperone Combo). Additionally, an aqueous formulation of human glucagon (BioChaperone Human Glucagon) has recently entered clinical testing. Adocia is also developing two combinations of insulin glargine with GLP-1s, (Bio- Chaperone Glargine Dulaglutide and BioChaperone Glargine Liraglutide), two combinations of insulin lispro with synergistic prandial hormones (BioChaper- one Lispro Pramlintide and BioChaperone Lispro Exenatide), and a concentrat- ed, rapid-acting formulation of human insulin (HinsBet U500), all of which are in preclinical development. Affimed is a clinical-stage biopharmaceutical company focused on discovering and developing highly targeted cancer immunotherapies. Its product candidates are being developed in the field of immuno-oncology, which represents an innovative approach to cancer treatment that seeks to harness the body’s own immune defenses to fight tumor cells. The most potent cells of the human defense arsenal are types of white blood cells called Natural Killer cells, or NK-cells, and T-cells. Affimed’s proprietary, next-generation bispecific antibodies, termed TandAbs® because of their tandem antibody structure, are designed to direct and establish a bridge between either NK-cells or T-cells and cancer cells. Affimed’s TandAbs have the ability to bring NK-cells or T-cells into proximity and trigger a signal cascade that leads to the destruction of cancer cells. Due to their novel tetravalent architecture (which provides for four binding domains), the TandAbs bind to their targets with high affinity and have half-lives that allow intravenous administration. Affimed believes, based on the TandAbs mechanism of action and the preclinical and clinical data it has generated to date, that its product candidates may ultimately improve response rates, clinical outcomes and survival in cancer patients and could eventually become a cornerstone of modern targeted oncology care. Affimed has focused its research and development efforts on three proprietary programs for which it retains global commercial rights. Because TandAbs bind with receptors that are known to be present on a number of types of cancer cells, each of Affimed’s TandAb product candidates could be developed for the treatment of several different cancers. Affimed intends to initially develop its two clinical stage product candidates in orphan or high-medical need indications, including development as a salvage therapy for patients who have relapsed after, or are refractory to, that is who do not respond to treatment with, standard therapies. Anagenesis Biotechnologies is preclinical-stage stem cell-based company focused on developing novel treatments for muscle degenerative diseases and type 2 diabetes. Anagenesis Biotechnologies secured two private investments from the AFM (French muscular dystrophy association) to develop applications in the skeletal muscle therapeutic area and from Cap Innov’Est. Anagenesis Biotechnologies aim is to become the world leader in muscle-related diseases. Anergis is a private biopharmaceutical company dedicated to the discovery and development of proprietary ultra-fast allergy immunotherapy products based on its technology of contiguous overlapping peptides (“COP Allergy Vaccines”). Anergis raised over CHF 52 million to date from private and institutional investors, including BioMedInvest, Sunstone Capital, Renaissance PME and WJFS, Inc. Allergies are the most prevalent and fastest growing chronic conditions in the industrialized world, affecting over 500 million people. The only curative treatment of allergies available today is the process of inducing tolerance to the allergen by allergy immunotherapy (AIT). Currently marketed AIT products require 3-5 years of treatment and expose patients to the risk of serious side effects such as anaphylactic reactions. Anergis aims to develop the future of allergy treatment by providing novel treatments with long-lasting efficacy after a single 2-month treatment course (“ultra-fast” AIT treatment). The proof-of-concept of ultra-fast AIT was demonstrated in clinical trials of AllerT (first generation COP allergy vaccine including aluminium hydroxide as adjuvant to the COPs): Anergis showed statistically significant efficacy vs placebo and demonstrated that the reduction in allergy symptoms persisted during the next annual pollen season and specific IgG4 antibodies remained significantly elevated after four seasons. In 2018, Anergis initiated a research program on the second generation of COP Allergy Vaccines designed for enhanced efficacy and improved tolerability. This program includes a research collaboration with Mymetics Corporation (OTCQB:MYMX), a pioneer and leader in the research and development of virosome-based vaccines. Anima Biotech is pioneering Translation Control Therapeutics, a new class of drugs that control protein translation. Our novel platform enables for the first time to visualize and specifically control the synthesis of target proteins. By targeting the mechanisms that specifically regulate the process of mRNA translation, we discover small molecules that either decrease or increase a target protein’s production, enabling a new strategy and new hope against hard and undruggable targets. Our novel science is backed by 5 granted patents, 14 peer-reviewed publications and a network of 17 scientific collaborations. We are strategically structured to partner with Pharma in multiple therapeutic areas. In July 2018 we signed a collaboration agreement with Lilly for the use of our technology in the discovery and development of Translation Inhibitors of Several Protein Targets. At the same time, we are moving our own fast pipeline growing forward. Our current programs are in Fibrosis (inhibiting the synthesis of Collagen type I), Viral infections (Respiratory Syncytial Virus – interfering with viral protein synthesis), Oncology (C-Myc translation inhibitors) and Huntington’s disease (monitoring mutant Huntingtin translation pausing). APEIRON Biologics AG, based in Vienna, Austria, is a clinical stage biotech company developing innovative products in cancer immunotherapy. The company was founded by Professor Josef Penninger and became operational in 2006. Apeiron currently employs about 45 people and is led by a management team with strong background in the biotech industry and drug development, especially in immuno-oncology. Apeiron’s impressive track record in R&D of innovative projects has been validated by several license deals with Pharmaceutical companies (GSK for APN01, Sanofi for APN411, EUSA Pharma for APN311) and importantly by the marketing authorization in the EU for APN311 in May 2017 (dinutuximab beta; Qarziba®). APN311 is a monoclonal antibody for immunotherapy of pediatric neuroblastoma, a rare and severe childhood cancer. Aptose Biosciences is a science-driven biotechnology company advancing first-in-class agents to treat life-threatening cancers, such as acute myeloid leukemia (AML), high-risk myelodysplastic syndromes (MDS) and other hematologic malignancies. Based on insights into the genetic and epigenetic profiles of certain cancers and patient populations, Aptose is building a pipeline of novel oncology therapies directed at dysregulated processes and signaling pathways. Aptose is developing targeted medicines for precision treatment of these diseases, based on a patient’s specific gene expression signature. In the treatment of cancer, this strategy is intended to optimize efficacy and quality of life by minimizing the cytotoxic side effects associated with conventional therapies. Atturos was founded in 2014 as a spin out company from University College Dublin with the ambition to develop and commercialise advanced diagnostics solutions to enable clinicians and patients make better decisions. Leveraging extensive expertise in mass spectrometry, proteomics and clinical research, Atturos is focussed on clinical and commercial translation of our lead product, the OCProDx test. This novel multimarker test is being developed to address a significant unmet need in the treatment of prostate cancer. Supported in part by a prestigious EU Horizon 2020 SME Instrument award the Atturos Leadership Team are working closely with multiple stakeholders across the clinical, scientific, and business community to drive the rapid growth and development of the company. The Atturos team are unashamedly ambitious in their plans for the company’s growth, however conscious that the result of the tests we are developing will influence the clinical decisions that change patients lives. We apply integrity to all we do in close association with patients and clinicians. AYOXXA Biosystems GmbH is a venture-backed life science tools company driving advances that empower translational proteomics, setting sights on better diagnostics and therapeutics. Presently entering the commercial phase of growth, our company is an international and multidisciplinary team of scientists, technicians, engineers and business professionals working relentlessly to realize our vision of enabling success in translational proteomics. Together, we have transformed an innovative technology exclusively licensed from the National University of Singapore in 2010, into a mature, groundbreaking protein analysis platform. Designed to deliver high-quality data on multiple proteins in the same small-volume sample, LUNARIS™ enables fully scalable quantitative validation of disease-relevantbiomarkers: from lab to clinic – from model to man – from data to insight. BioElectron is a platform biotechnology company, with expertise in the electron transfer (redox) chemical reactions that underpin oxidative stress and inflammation in all biological systems. We are using this expertise in redox biochemistry to develop first-in-class therapeutics for unmet medical needs. Our therapeutic candidates target a select set of enzymes, called oxidoreductases, with known biological significance. Our initial clinical focus is on developing treatments for inherited mitochondrial diseases primarily affecting children, where there are unambiguous genetic alterations in key oxidoreductase systems. Mitochondrial diseases share a common feature: defects in DNA that encode for proteins critical to the proper handling of electrons. The process of regulating the flow of electrons is known as redox control, and it is essential to the generation and regulation of energy in living systems. Thus, mitochondrial diseases are diseases of redox control. These diseases commonly result in severe neurological impairment and death at an early age. At present, there are no FDA- or EMA-approved treatments. Through the reverse-engineering of mitochondrial diseases, BioElectron has been able to identify a number of initial drug targets, which has led to the development of drug candidates aimed at treating children with mitochondrial diseases. These drugs are in active clinical development. Our current lead drug, EPI-743, uniquely targets 15-lipoxygenase—a key enzyme involved in the regulation of oxidative stress, inflammation and programmed cell death (also known as ferroptosis), biological processes that are significant in the pathology of mitochondrial and other diseases. We also possess a rich pipeline of other first-in-class targets, novel drug candidates, and paired diagnostics for a wide array of conditions; e.g. Parkinson’s disease, ALS, diabetes, autism and cancer. These conditions share a common biochemical basis—defects in electron-based (redox) cellular communication systems. Cantargia specialises in antibody-based cancer treatment. CAN04, the company's patented antibody treatment, has a dual mechanism of action. CAN04 fights cancer by activating the immune system and blocking signals that lead to tumour growth. Treatment with CAN04 has the potential to become an important part of modern immuno-oncology. CAN04 is designed to block the cancer cell's signalling via the interleukin-1 system. Thereby counteracting the tumour inflammation that facilitates growth and protection of the tumour. CAN04 is also designed to stimulate the body's immune system to eliminate cancer cells directly. Cantargia has started development of a new antibody against IL1RAP which will also be subject for patent protection. The new antibody is being designed for treatment of autoimmune and inflammatory diseases, with the aim to have a product candidate selected during 2019. Cantargia AB was founded in 2009/2010 based on a discovery made by Professor Thoas Fioretos and Dr Marcus Järås at Lund University. Their research showed that leukaemic stem cells express a protein, IL1RAP, on the cell surface which is not expressed to the same extent on normal stem cells. Cantargia's research has since then shown that IL1RAP is also expressed in a range of solid tumour cancers. IL1RAP is important for the cancer cells' ability to create a favourable environment for proliferation and expansion and antibodies targeting IL1RAP could potentially be used to treat several different forms of cancer, but also autoimmune and inflammatory diseases. CLINUVEL PHARMACEUTICALS LTD is a global biopharmaceutical company focused on developing and delivering treatments for patients with a range of severe genetic and skin disorders. As pioneers in photomedicine and understanding the interaction of light and human biology, CLINUVEL’s research and development has led to innovative treatments for patient populations with a clinical need for photoprotection and repigmentation. These patient groups range in size from 5,000 to 45 million worldwide. CLINUVEL’s lead compound, SCENESSE® (afamelanotide 16mg), was approved by the European Commission in 2014 for the prevention of phototoxicity (anaphylactoid reactions and burns) in adult patients with the rare genetic disorder erythropoietic protoporphyria (EPP). As the first ever photoprotective drug, SCENESSE® activates eumelanin, the dark pigment in skin. Eumelanin is capable of selective light absorption, including at the wavelengths of light which excite protoporphyrin IX, the compound which causes phototoxic reactions in patients diagnosed with EPP, a disorder which causes absolute intolerance to light (blue and green spectrum). Crescendo Biologics is a biopharmaceutical company developing potent, multi-functional Humabody® therapeutics in Oncology with a proprietary pipeline focus on CB307, a unique targeted T-cell engager. Humabody® therapeutics are based on our robust, proprietary, transgenic platform generating fully human VH domain building blocks (Humabody® VH) with superior biophysical properties. Using our in-house formatting and drug development expertise, we can rapidly assemble fully human VH building blocks into an almost limitless array of optimally configured mono- and multi-functional Humabody® therapeutics capable of engaging targets in ways that are fundamentally different from IgG. This modular approach coupled with Humabodies’ superior biodistribution lacks the constraints of traditional mAbs and enables a radical rethink of the design and assembly of multi-functional molecules to deliver enhanced therapeutic benefit through novel modes of action. Dyadic International, Inc. is a global biotechnology company based in Jupiter, Florida with a foreign subsidiary, Dyadic Nederland, BV, which maintains a small satellite office in Wageningen, the Netherlands. Over the past two decades, the Company has developed a method for producing commercial quantities of enzymes and other proteins required for the production of industrial enzymes and has successfully licensed this technology to third parties such as Abengoa Bioenergy, BASF, Codexis and others. This technology is based on the Myceliophthora thermophila fungus, which the Company named C1. The C1 technology is a robust and versatile fungal expression system for gene discovery, development, expression and production of enzymes and other proteins. 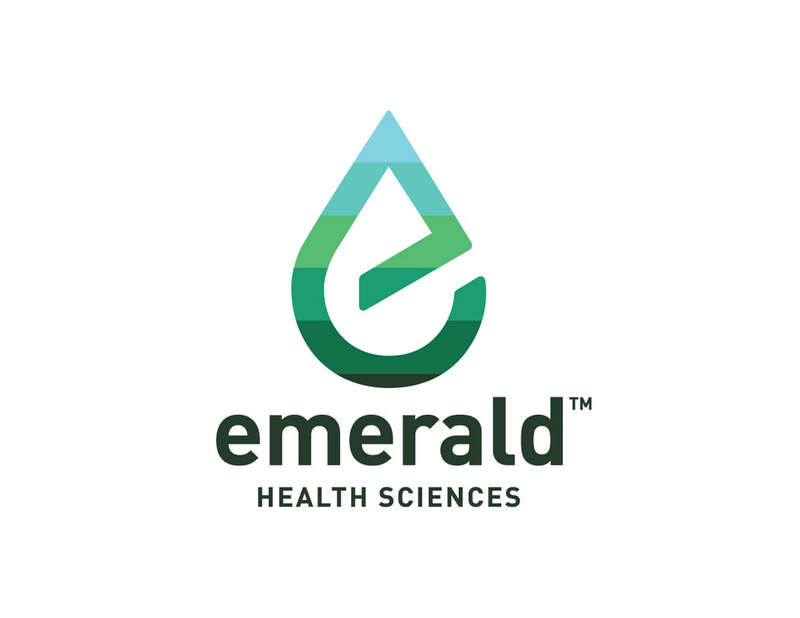 The vision of Emerald Health Sciences (EHS) is to enhance health and well-being through diverse investments that advance the development of cannabis in pharmaceutical, botanical and bioceutical applications. EHS is realizing this vision by supporting the application of scientific rigor to all the products researched and developed through its investments in compliance with all international and federal regulations. The rapid growth of EHS is testament to the ability of its leadership to create value by leveraging long-standing relationships and experience to attract expertise and accumulate assets that support its vision. The company was founded by two researchers, Joana Simões Correia and Ricardo Neves and one manager, Luísa Marques. The project that led to the creation of the company (Nanoinspire) participated in COHiTEC 2014 program and is the result of the research developed in collaboration between the Centre for Neurosciences and Cellular Biology of Coimbra University, Crioestaminal SA, and Biocant. Founded in June 2015, the company has so far secured €1M fund- ing, of which €900K from venture capital firms, and in excess of €600K from a Portugal 2020 R&D grant. GamaMabs’ lead project is the monoclonal antibody (mAb) GM102 which targets Anti-Müllerian Human Receptor II (AMHRII), an unaddressed specific target in cancer. The company develops low-fucose EMABling® antibodies with increased tumor cell killing properties through the activation of immune system cells. GamaMabs has a licensing agreement with MedImmune (USA) to develop an Antibody Drug Conjugate targeting cancer. Millions of people all over the world suffer from diseases, for which there is no known treatment. At the same time, thousands of skilled scientists are working on early research projects, which might one day provide novel therapies for the people in need. Herantis Pharma Plc is an innovative drug development company focused on regenerative medicine for breakthrough in unmet clinical needs. Our first-in-class assets are based on globally leading scientific research in their fields: CDNF for disease modification in neurodegenerative diseases, primarily Parkinson’s and ALS; and Lymfactin® for breast cancer associated lymphedema, with potential also in other lymphedemas. Herantis’ shares are listed on NASDAQ OMX Helsinki First North Finland. ILTOO Pharma is a clinical-stage biotechnology company dedicated to the development of biotherapies that have the ability to balance the immune system and revolutionize the treatment of autoimmune and inflammatory disorders (ADs). Based on a deep expertise in translational research and clinical immunology, ILTOO Pharma is pioneering the field of regulatory T cells (Tregs)-mediated immunotherapies. ILTOO Pharma lead product, ILT-101, is the world most advanced IL-2-based therapies. ILTOO’s vision is that, along with corticosteroids and anti-TNFs antibodies, IL2-mediated immunotherapy will become the next-generation standard of care for treating ADs. Systemic lupus erythematosus (SLE) and recently diagnosed type-1 diabetes (T1D) have been selected as top priority indications. By targeting an immunological imbalance which is the common root cause of ADs, ILT-101 has the potential to bring an enhanced therapeutic benefit to a wide spectrum of patients affected by ADs. Immunomic Therapeutics, Inc. (ITI) is a privately-held clinical stage biotechnology company pioneering the study of nucleic acid immunotherapy platforms. These investigational technologies have the potential to alter how we use immunotherapy for cancer, allergies and animal health. On the heels of two landmark deals in 2015, including an exclusive worldwide license with Astellas Pharma Inc. to explore the use of LAMP-Vax™ for use in the prevention and treatment of allergic diseases which resulted in over $315M in licensing revenue that year, the company has now focused on the application of its UNITE™ platform in oncology. INOTREM SA is a biopharmaceutical company discovering and developing first-in-class immunotherapies for the treatment of inflammatory diseases. The Company is developing a new concept of immunomodulation targeting the amplification loops of the innate immune response with an initial focus on septic shock. With a high mortality rate, a growing incidence and a lack of specific mechanistically targeted treatment, severe sepsis and septic shock is a major public health problem in urgent need of a solution. The INOTREM scientists and co-founders are international leaders in TREM-1 biology (Triggering Receptor Expressed on Myeloid cells-1) and authors of numerous studies demonstrating the role of TREM-1 in severe sepsis as well as myocardial infarction. InterAx is uniquely positioned to assist drug candidate design and selection by integrating bioanalytical and computational pharmacology in partnership projects with Biotech and Pharma companies. InterAx applies mathematical models and simulations to in house-derived bioanalytical data in order to address the complexity of drug-induced cellular signaling mechanisms. Our goal is to close the gap between laboratory experiments and in vivo studies by streamlining the critical processes of drug candidate design and selection, thereby significantly reducing the risks, costs and duration of drug discovery and development of new drugs. ISA is a late stage clinical company based in Leiden, The Netherlands. Its lead product is entering phase 3 clinical trials. In December 2017, ISA entered into a strategic partnership with Regeneron Pharmaceuticals for is lead product ISA101 for treatment of HPV-16 induced diseases. Herewith, ISA has established a clear path to market for it lead product. Under the partnership, ISA101 is currently entering randomized controlled trials in head- and neck (phase 2) and cervical cancer (phase 3). These trials are aimed at securing first approvals for ISA101 in combination with cemiplimab (aPD-1). First data from these trials are expected in H2 2020. Under the agreement, Regeneron made significant up-front financial commitments and ISA is eligble for substantial near term revenues. ISA’s product pipeline further consists of several proprietary compounds in multiple orphan indications with fast path to market. As next step, ISA aims to establish clinical PoC for the two next products in its pipeline. In addition, ISA has an exciting pre-clinical pipeline targeting cancer and chronic viral infections. ISA’s development platform is based on its proprietary SLP® (synthetic long peptide) and AMPLIVANT® technologies and its next generation manufacturing capabilities. These platforms are broadly applicable and suitable for a multitude of targets and product opportunities. Karyopharm Therapeutics Inc. is a clinical-stage pharmaceutical company focused on discovery, development and commercialization of novel first-in-class drugs directed against nuclear transport and related targets for the treatment of cancer and other major diseases. Karyopharm’s primary focus is on developing novel, small molecule Selective Inhibitor of Nuclear Export, or SINE, compounds that inhibit the nuclear export protein XPO1. Their lead oral SINE compound selinexor is being evaluated in multiple late stage clinical trials in patients with hematologic and solid tumor malignancies. Selinexor has been granted Orphan Drug Designation in multiple myeloma and Fast Track designation for the patient population evaluated in the STORM study. Karyopharm has submitted a New Drug Application (NDA) to the U.S. Food and Drug Administration (FDA), with a request for accelerated approval for oral selinexor as a new treatment for patients with penta-refractory multiple myeloma. The Company also plans to submit a Marketing Authorization Application (MAA) to the European Medicines Agency (EMA) in early 2019 with a request for conditional approval. In addition to selinexor, Karyopharm is advancing a pipeline of novel, oral drug candidates, including eltanexor as a treatment for colorectal cancer, myelodysplastic syndrome, and castrate-resistant prostate cancer, KPT-9274, a dual PAK4/NAMPT inhibitor for the treatment of patients with advanced solid malignancies or non-Hodgkin’s lymphoma, and verdinexor as an anti-viral agent, as well as a potential treatment for cancer in companion animals. Karyopharm was founded by Dr. Sharon Shacham and is headquartered in New- ton, MA. Keapstone Therapeutics is a single asset biotech developing drugs that target the Nrf2 signalling pathway (KEAP1 inhibitors) for two devastating conditions – Parkinson’s and Motor Neuron Disease (MND) – which together affect more than 130,000 people in the UK. Keapstone was co-founded in February 2017 by the University of Sheffield, Parkinson’s UK and scientists Richard Mead and Pamela Shaw of the Sheffield Institute for Translational Neuroscience (SITraN). The company has exclusive rights to develop intellectual property related to a novel chemical series identified at Sheffield. The company combines world-leading research from the university with funding and expertise from Parkinson’s UK and consultants and discovery partners with extensive drug development expertise. LIfT BioSciences is a socially-minded Biotech start-up developing The World's First Cell Bank of Cancer Killing Granulocytes (a type of white blood cell). The Cell Bank will enable us to provide a range of potentially life-saving immuno-oncology cell therapies for different solid tumour types. Our innate immunity platform is known as Neutrophil only Leukocyte Infusion Therapy (N-LIfT), a first-in-class patented cell therapy. N-LIfT is produced ex-vivo and benefits from being more scalable with potentially better and more consistent efficacy and safety than other forms of leukocyte infusion. LIfT BioSciences Ltd was set-up with Prof Zhen Cui of Wake Forest University, a leading pioneer in LIFT, following his discovery of a cancer resistant (SR/CR) mouse that proved to have transferable innate immunity. The first targeted indication is pancreatic cancer (pancreatic ductal adenocarcinoma – PDAC), one of the types of cancer with the highest unmet medical need. CRUK report that just 3% of Patients Diagnosed with PDAC survive 5 years. PDAC is classified as an orphan disease by European Medicines Agency (EMA) which will facilitate our market access. The EMA has classified N-LIfT as an Advanced Therapeutic Medicinal Product (ATMP), which sets us up for accelerated approval (early access scheme) and enhanced proprietary protection (market and data exclusivity), subject to trial results. We are currently completing pre-clinical work before running our first in-human clinical trial. The aim is to demonstrate remission in high unmet need solid tumours by 2021, including Pancreatic Cancer. Due to the sensitivity of our work and the IP required to successfully bring this therapy to market we are unable to disclose more at present. If you would like to find out more, or if you would be interested in investing please Contact Us. Medherant was founded by Professor David Haddleton and the University of Warwick to develop and commercialise novel technologies for delivery of drugs via the skin using their world-leading expertise in bioadhesives and polymer chemistry. The Company is based on the University of Warwick Science Park in Coventry (UK). Medherant has received investment from Mercia Fund Management and others. Delivery of drugs using patches that are applied to the skin provides better control of the dose than with gels, ointments and creams. However, the currently available technologies limit the types of drugs that can be used and the quantities that can be loaded into the patch. Medherant’s TEPI Patch® is formulated with a novel polymer adhesive which has been exclusively licensed from Bostik. The drug to be delivered is mixed with the adhesive to form a thin, flexible, single layer patch. One of the key advantages of the TEPI Patch® technology is that a greater quantity of drug can be blended with the adhesive. This enables lower potency drugs to be formulated as a patch and provides the opportunity to increase the dose of drugs already administered via a patch or reduce patch size. The TEPI Patch® also provides a better experience for the user as it does not leave a residue around the patch – referred to as ‘cold flow’ – and has excellent adhesion whilst still being easy and painless to remove. Medherant is developing its own TEPI Patch® products and working with third parties to assess the suitability of the technology for their drugs. The Company expects to earn revenues from licensing products that it has developed to pharmaceutical companies and through collaborative development projects leading to potential technology licences. Memo Therapeutics AG (MEMO) is an innovator in the field of antibody discovery and immune repertoire analysis. Its MemoMAB™ platform creates a recombinant in vitro copy of an individual’s B cell / antibody repertoire, which is then banked as a library. The resulting unique, large and relevant antibody libraries represent the individual’s immune repertoire and are expected to contain an unprecedented number of relevant and rare antibodies. This leads to entirely new possibilities in immune repertoire analysis and antibody discovery. The business strategy of MEMO is the discovery of therapeutic antibody candidates and target discovery for antibody and vaccine development. ​MemoMAB™ is deployed in proprietary antibody lead discovery programs and is made available in collaborations. Metys Pharmaceuticals is developing dimiracetam for the prevention of chemotherapy-induced painful peripheral neuropathy. In the US alone, in a single year, more than 400'000 patients suffer from the neuropathy caused by their life-saving cancer treatment. No drug has been approved to prevent or treat this condition. Dimiracetam is an orally active, small molecule with more than 200 patients' safety and tolerability data; dimiracetam is highly effective in preventing and treating chemotherapy-induced neuropathy in rodents. Metys Pharmaceuticals is preparing the first dedicated efficacy study of dimiracetam in this indication. MGC Pharmaceuticals is a publicly traded (ASX:MXC) BioPharma company focused on the development and formulation of indication specific Phytocannabinoid Medications. MGC Pharma has created a seamless, highly-supervised supply chain, for developing Phytocannabinoid medications from seed to sale, with global operations providing proprietary Phytocannabinoid formulations to researchers, doctors and patients worldwide. Our vaccines are designed to induce protection against early transmission and infection, focusing both on the mucosal immune response as a first-line defense and the systemic humoral (blood) immune response, which, for some pathogens, may be essential for the development of an effective prophylactic vaccine. Our unique approach has resulted in the development of a rich pipeline of vaccine candidates for HIV-1/AIDS, intra nasal Influenza, Malaria, Chikungunya and the Respiratory Syncytial Virus (RSV) vaccine. Our delivery platform is being validated through partnership with leading pharmaceutical or research organisations, including Sanofi, PATH-MVI and the Bill and Melinda Gates Foundation. Mymetics Corporation (OTCQB: MYMX) is a Swiss based biotechnology company, with a Research Lab in the Netherlands. The company is registered in the US and trades on the OTCQB. ​Nanobiotix is a late stage clinical company pioneering nanomedicine for more than a decade. We intend to significantly change the outcomes for cancer patients following a different path than other Pharma or Biotech companies: a new way to treat patients thanks to nanophysics at the heart of the cell. Nanobiotix is a spin-off from the State University of New York (SUNY), Buffalo and was incorporated in 2003. Nanobiotix is listed on the regulated market of Euronext Paris on 29 October 2012 (ISIN: FR0011341205, Euronext ticker: NANO, Bloomberg: NANO: FP). Nanobiotix operates worldwide from the headquarters based in Paris, France and affiliate office in Cambridge, MA, USA. Nanobiotix has partnered with PharmaEngine for clinical development and commercialization of NBTXR3 in Asia. The company’s first technology, NanoXray, is based on proprietary technologies and patents. The goal of our products is to help millions of patients receiving radiotherapy by magnifying the effect of radiotherapy within tumor cells, without increasing the dose to surrounding healthy tissues. We develop first-in-class products with the aim to provide a maximum benefit with a minimum change in the medical practice in order to limit the hurdle of healthcare cost. The most advanced product, NBTXR3, is in registration clinical phase and the Company has filed in August 2016 for market approval (CE Marking) in Europe. Novaremed is a clinical-stage Swiss biopharmaceutical company focused on the development of NRD.E1, an orally active New Chemical Entity (NCE) for the treatment of Neuropathic Pain. Novaremed was founded in Israel in 2008, where development work was done up to a successful Phase IIa Proof of Concept (PoC) study in Diabetic Neuropathic Pain (DNP). In 2017, Novaremed moved from Israel to Basel, Switzerland, which is one of the most important biotech and pharma clusters in Europe. This relocation allowed the company to gain access to experienced clinical development staff and services and investor capital. Novaremed is currently preparing for a global Phase IIb study in DNP. ​Founded in 2015, OncoVITA is an early-stage biotech company developing a disruptive virus technology to treat multiple types of cancer. This proprietary technology is derived from the safe and highly immunogenic measles vaccine virus, which has clinically proven oncolytic potential. Over 15 years of R&D has allowed OncoVITA to build upon the measles vaccine virus and to bring forward a new virus with even stronger oncolytic properties: MVdeltaC. This candidate proved highly efficient in a panel of pre-clinical studies in vitro and in vivo. Not only does the virus specifically target and destroy cancer cells, but it also has the potential to elicit a strong and long-lasting anti-tumour immune response. Our initial clinical focus is the ovarian cancer resistant to chemotherapy. This technology, developed at the Institut Pasteur in Paris, has intellectual property protection up to 2033 with possible extensions that OncoVITA’s IP portfolio is building upon. ​Oryzon is a public clinical stage biopharmaceutical company and the European leader in the development of epigenetics-based therapeutics. From its founding in 2000 through 2008, the company focused its efforts in growing a genomics diagnostics business model, providing genomics services to the pharmaceutical industry in Europe. In 2008, with the acquisition of Crystax Pharmaceuticals, we started our drug discovery programs in oncology and neurodegenerative diseases. Our business model is to develop our proprietary drug candidates through clinical phase II, at which point it is decided on a case-by-case basis to either keep the development in-house or to partner or outlicense the compound for late stage development and commercialization. Oryzon is listed on the Spanish Stock Exchange since December 2015 (ORY, ISIN Code: ES0167733015). In the period 2015-2016, the company raised €32M, with additional €18.2M raised from blue chip investors in the US and Europe in March 2017. With two compounds in clinical trials, ORY-1001, a highly potent and selective LSD1 inhibitor that has been granted orphan-drug status by EMA, in Phase I/IIA in oncology, and ORY-2001, a dual LSD1/MAO-B inhibitor for the treatment of multiple sclerosis, Alzheimer’s disease and other neurodegenerative diseases, in Phase IIA, as well as another compound in preclinical development, ORY-3001, a selective LSD1 inhibitor for the treatment of non-oncological diseases, and additional programs in other cancer indications, the company has a broad and growing portfolio. From 2014 to 2017 the company had a collaboration with Roche relating to our lead oncology program and received +$23M. This asset is now being developed by Oryzon. The company has also obtained competitive US and European grants in the amount of €8M to support the development of ORY-2001 since the start of our CNS research. OSE Immunotherapeutics SA (ISIN: FR0012127173; Mnemo: OSE) is a biotechnology company focused on the development of innovative immunotherapies for immune activation and regulation in the fields of immuno-oncology and autoimmune diseases. The company utilizes several scientific and technological approaches including neoepitopes and agonist/antagonist monoclonal antibodies, all ideally positioned to fight cancer and autoimmune diseases. Its first-in-class pipeline offers a diversified risk profile, ranging from registrational to clinical stage to R&D. These new generation products are optimized to better target key receptors of the immune response’s activation or regulation, thus allowing for longer therapeutic effects. The company relies upon its international and complementary team of experts involved in the research and optimisation of drug candidates, pharmaceutical development and drug registration to develop the next wave of novel immuno- therapies. OSE Immunotherapeutics is partnership focused to ensure, through premier international pharma, clinical and academic collaborations, the fastest possible delivery of its product candidates to patients in need. Based in Nantes (Head Office) and Paris, the company is listed on Euronext Paris. Oxurion is a biopharmaceutical company developing treatments to preserve vision for patients with diseases affecting the back of the eye. It has engineered a diverse portfolio of disease-modifying drug candidates, including treatments for diabetic eye disease, a leading cause of blindness in people of working age worldwide. Oxurion owns the global rights to Jetrea (ocriplasmin), the only pharmacological vitreolysis drug approved for the treatment of symptomatic vitreomacular adhesion (in the U.S.) and vitreomacular traction (outside the U.S.). Oxurion is headquartered in Leuven, Belgium, and is listed on Euronext Brussels under the symbol OXUR. We are currently developing diagnostic tests and precision drugs based on immunoprofiles discovered with MVA. With MVA, we have identified profiles for several cancers, cardiovascular diseases, autoimmune disease and numerous others. In addition to developing diagnostics and therapeutics, we are searching for partners interested in applying MVA to further discover the immune systems involvement in disease. PDC*line Pharma is a French-Belgium clinical-stage biotech company that develops a new class of active immunotherapies for cancer based on an allogeneic cell line of Plasmacytoid Dendritic cells (PDC*line) loaded with cancer antigens. PDC*mel, our first drug candidate is currently in phase 1 clinical trials for melanoma. PDC*lung is in preclinical development for lung cancer. ​Based on years of experience in the design of highly potent and specific inhibitors of enkephalinases, Pharmaleads has developed a new class of analgesics called DENKIs (Dual Enkephalinases inhibitors). These small molecules are able to provide patients with local and sustainable pain relief. Pharmaleads’ DENKIs are first-in-class drugs with a novel mechanism of action tackling pain by using endogenous enkephalins, natural peptides that specifically bind to pain-related opioid receptors to naturally modulate pain without the side effects observed with exogenous opioid drugs that also bind to other opioids receptors, not involved in pain control, triggering multiple side effects. Pharmaleads believes its products can change the lives of the many patients who are in need of improved treatment options for their chronic and/or acute pain, and could offer healthcare providers with an improved pain management option that helps address the opioid epidemic. Polyneuron is a pharmaceutical spin-off of the University of Basel founded in late 2014, building on excellent expertise in carbohydrate-based drug discovery and clinical neurology. The company’s Antibody-Catch™ technology platform enables the chemical design of injectable glycopolymers. These glycopolymers are designed to selectively eliminate autoantibodies in autoimmune disease patients, while leaving the immune system intact. This pioneering therapeutic approach holds great potential for effective and safe treatments for antibody-mediated autoimmune diseases. Polyneuron’s platform focus in on rare but devastating autoimmune diseases of the nervous system with an unmet medical need and where the pathological role of anti-carbohydrate autoantibodies is well established. With funding of about CHF 5 million to date, Polyneuron delivered a preclinical proof of principle with its main asset PN-1007 for the treatment of anti-MAG neuropathy and obtained the orphan drug designation from the European Medicines Agency. In addition, the basis could be laid for a promising pipeline – the Antibody-Catch™ technology platform has a broad applicability scope and can be used to target carbohydrate-binding proteins in the broadest sense. Polyneuron strives to make Antibody-Catch™ a clinical reality and hopes to make a difference in the lives of people suffering from devastating diseases. Rejuvenate Biomed, an independent Belgium based R&D company and spin-out from Janssen Pharmaceutical companies of Johnson and Johnson, was established in October 2017. The Company aims to increase the healthy years of life, also referred to as health span, by repositioning prescription drugs to the field of healthy aging. Rejuvenate Biomed focuses on the intersection between fundamental aging mechanisms & processes at cellular and molecular level that lead to chronic age-related diseases, investigating ways to delay or prevent the onset of age-related diseases. Rejuvenate Biomed secured its seed investment in November 2017, supporting the validation of the pharmacology platform and preparation for the clinical activities. Recently, Rejuvenate Biomed got awarded with a 0,5 M€ non-dilutive grant from VLAIO. Currently, they are in the process of raising series A funding. Selvita is one of the largest drug discovery companies in Europe engaged in the research and development of breakthrough small molecules therapies in oncology. The company also have integrated drug discovery services division. Selvita is headquartered in Krakow, Poland, with a second research site in Poznan, Poland and foreign offices located in Greater Boston Area, San Francisco Bay Area and Cambridge, UK. 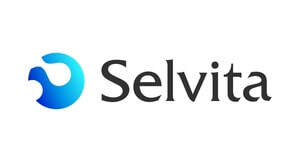 Selvita employs over 470 people including 150 with PhD. The most advanced Selvita’s program is SEL24, a dual PIM/FLT3 kinase inhibitor, which has entered the clinic in March 2017, and was subsequently licensed to Menarini Group. The second most advanced program is SEL120, a first-in-class small molecule inhibitor of CDK8 with potential use in hematological malignancies, colorectal cancer and breast cancer is currently developed in partnership with The Leukemia and Lymphoma Society. Selvita Early Discovery programs include: Immunooncology platform, Epigenetic platform, program targeting metabolic abnormalities in cancer, as well as an early discovery stage programs in the area of protein kinases. The company has alliances and partnerships with more than fifty large and medium-sized pharmaceutical and biotechnology companies from USA and Europe, including R&D partnerships with Merck, H3 Biomedicine, Nodthera Therapeutics, as well as Menarini Group and The Leukemia and Lymphoma Society. Sensorion is a biopharmaceutical company, formed in 2009, focused as a “pure player” on developing therapies for debilitating inner ear disorders. With our primary strength in the inner ear and neurosciences, we combine world-class scientific excellence and top-tier execution capabilities to deliver first-in-class therapeutics. Sensorion was initially founded by French and European academics, and has now diversified its core competencies by recruiting a network of partners and key opinion leaders. Our leadership has exceptional, solid experience in research, marketing and finance. STALICLA is an autism spectrum disorder (ASD) focused, data guided, drug development biotech company incorporated in May 2017. Through an innovative algorithm-based platform (DEPI) STALICLA has been able to identify non-behavioral subgroups of patients with idiopathic ASD and corresponding first-in class treatment candidates, thus pioneering personalized medicines for ASD. TapImmune Inc. is a leader in the development of novel immunotherapies for cancer, with multiple Phase 2 and Phase 1b/2 clinical studies currently ongoing for the treatment of ovarian and breast cancer. The company’s peptide- or nucleic acid-based immunotherapeutic products comprise multiple naturally processed epitopes (NPEs) designed to comprehensively stimulate a patient’s killer T-cells and helper T-cells, and to restore or further augment antigen presentation by using proprietary nucleic acid-based expression systems. This unique approach can produce off-the-shelf T-cell vaccine candidates that elicit a broad- based T-cell response and can be given without respect to HLA type. The company’s technologies may be used as stand-alone medications or in combination with other treatment modalities. Themis has developed a sophisticated vaccine platform and broad pipeline based on the advanced understanding of immune system mechanisms. Initially focused on preventing infectious diseases, the Company has demonstrated the potential of its versatile platform through the rapid progression into Phase 2 clinical development for a vaccine against Chikungunya, a debilitating disease with global outbreak potential. Funded to date by leading EU-based VCs, Themis has also gained prestigious non-dilutive funding for emerging infectious disease indications. The Company will apply its platform and manufacturing capabilities to diseases with high market potential both alone and for its partners. Topas Therapeutics GmbH is a private Hamburg, Germany-based biotechnology company focused on developing products to address areas of major unmet need, including autoimmune diseases, allergies and anti-drug antibodies. The Company was spun out of Evotec in 2016. Topas’ technology platform induces antigen-specific immune tolerance by harnessing the liver’s natural immunology capabilities. The Company has two programs preparing to enter the clinic in 2019 – one for an orphan disease and one for multiple sclerosis. Topas also has a research and option agreement with Eli Lilly and Company fo- cused on immune tolerance and a co-development agreement with Evotec for a Type 1 diabetes program that is currently in pre-clinical testing. Topas’ investors include: Epidarex Capital, Gimv, EMBL Ventures, Evotec and Boehringer Ingelheim Venture Fund. VAXIMM is a privately held, clinical stage, Swiss/German biotech company developing oral T-cell immunotherapies for patients suffering from cancer. ​VAXIMM AG is headquartered in Basel, Switzerland with a wholly owned subsidiary, VAXIMM GmbH (Mannheim, Germany), from where the Company’s development activities are orchestrated, and a laboratory in Regensburg, Germany.